There are hundreds of reasons why someone becomes an airline pilot. Some pilots have a long family history of flying planes, while some are the first to jump onto the flight deck. Some are drawn to the prestige of the profession, while others just want to fly like a bird. First Officer Ying Liu is a pilot for altruistic reasons. 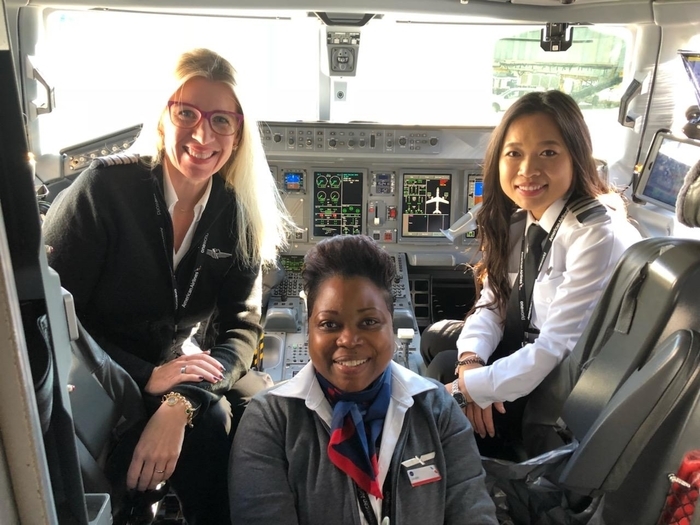 A former Cadet Instructor at L3 Airline Academy, Ying is a newly-minted First Officer with Envoy, based at Chicago O’Hare Airport (ORD) and flying the Embraer 175. Ying is unique in that she began her aviation career as a Flight Attendant with American Airlines where she first became interested in flying jets. Ying began her First Officer training in late November 2018 and after seven weeks of intensive studying where she learned proper procedures and simulator training, she completed her Initial Operating Experience (IOE) just a few weeks ago. Life for Ying has been moving so fast. She’s got a new job, a new place of work and new coworkers, yet she’s enjoying every minute of it. As an Envoy Cadet, Ying started earning company seniority before even setting foot in the Envoy training center, which allowed her first dibs on base and aircraft. Ying chose the Embraer 175 because she wants to be on the cutting edge of Envoy’s future with the growing fleet of 76-seater jets. Commuting in from Orlando, the Chicago base seemed like a great fit for Ying with the plethora of flights between the two airports. Like most pilots and flight attendants, Ying is sharing a “crash pad” with some friends, which allows her to be close to the airport and have a place to stay if she can’t make it back to Orlando. As far as flying, Ying said she’s had a great experience learning from the Captains with whom she’s flown. They’ve taken her under their wing and offer her all and any advice she needs to become a better pilot. On her first trip, Ying had the pleasure of learning from another woman pilot. However, Ying said that as far as flying the aircraft, there are no differences between men and women. Ying is still fresh and has a long way to go in her career, but she still appreciates the present. Growing up in a small village in China, Ying said she impresses herself with how far she’s come. 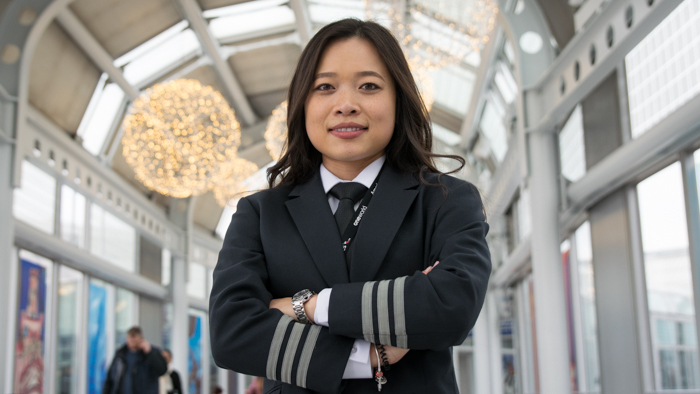 More than traveling the world or earning a living as a pilot, Ying is looking forward to inspiring other women and foreign pilots. She loves being the shining example of a hard-working woman pilot, and an inspiration to foreign pilots to join a diverse company like Envoy. More and more flying will come Ying’s way. She’ll have plenty of opportunity to become a great pilot. Meanwhile, Ying’s still enjoying the moment and soaking in every sight and sound of flying for Envoy.